This allergy-friendly guacamole recipe has no nightshades like red pepper or tomatoes, but it still has a spicy kick which makes is the perfect party appetizer that everyone can enjoy. It contains my secret Tex-Mex trick for adding creaminess, which also serves to keep the avocado from browning during the festivities. Serve it rustically in chunky form or blend it into creamy perfection. 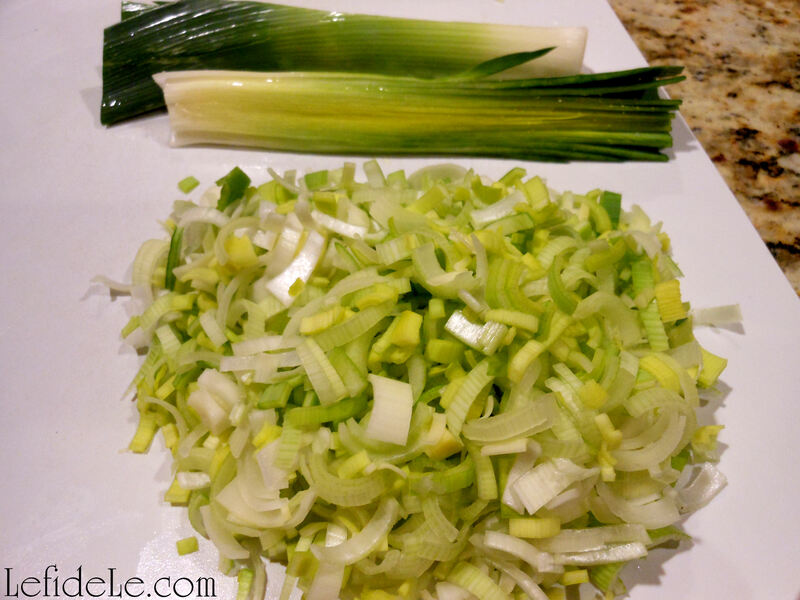 I can be served with any variety of veggies, chips, or even as a sauce for a meal. Think beyond taco pairings, and embrace it as dressing for your veggies. The heart-healthy avocados make this a guilt-free food, even though it tastes like a special treat, so enjoy! First, gather all your ingredients. 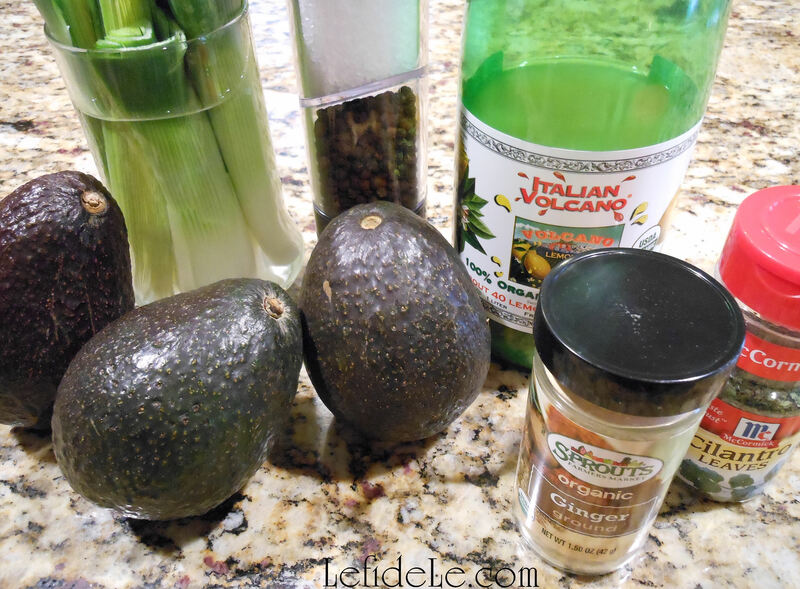 Using bottled citrus juice is perfectly acceptable, just make sure that it is pure juice and not the fake variety… or else your guacamole will brown. 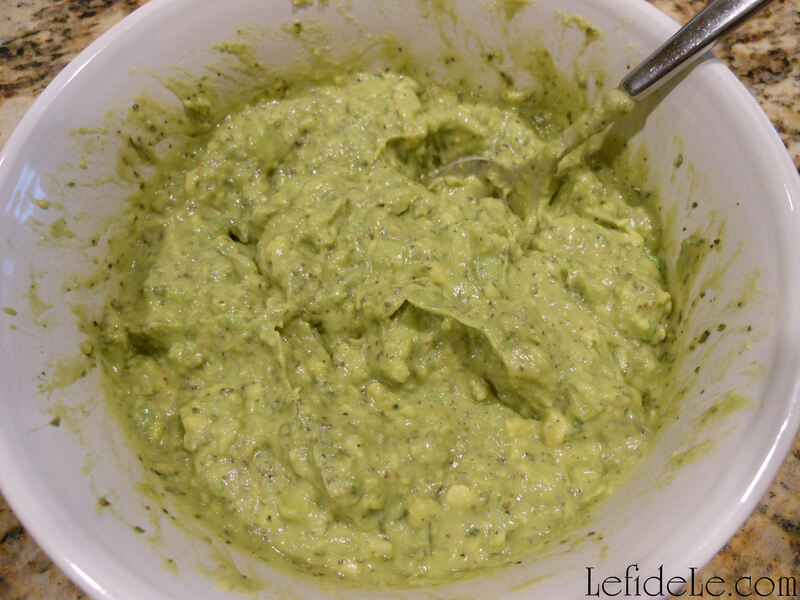 I’ve used Haas avocados for this recipe. Ensure that they’re ripe by gently squeezing the outside. If they give in a bit, then they’re ready to eat. If not, then store them on the counter until they are. 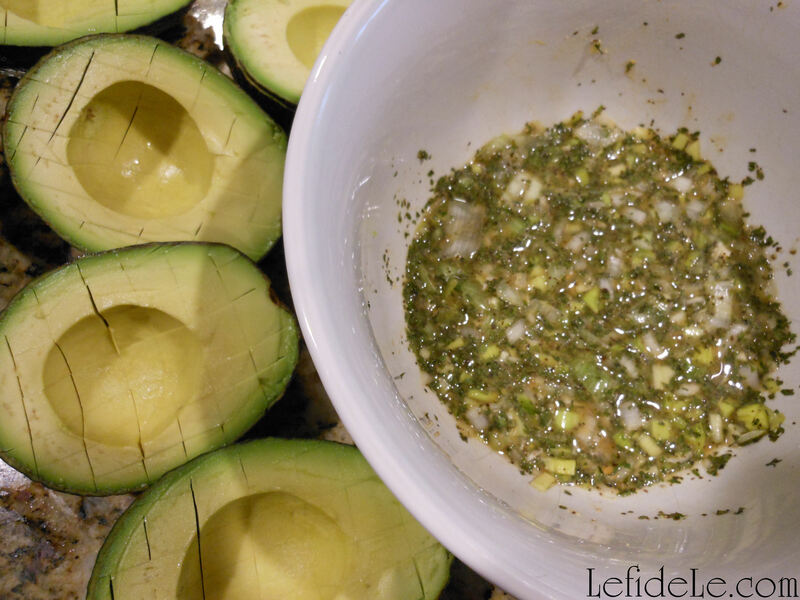 Mix all of the herbs into the lemon juice to allow them time to soften while preparing the avocados. 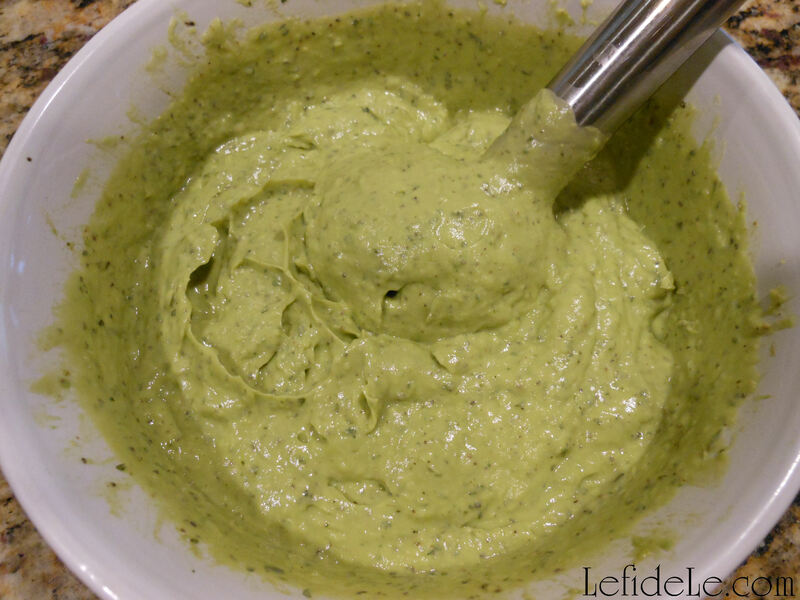 Adding yogurt or mayo is the secret Tex-Mex trick to making smooth and creamy guacamole. 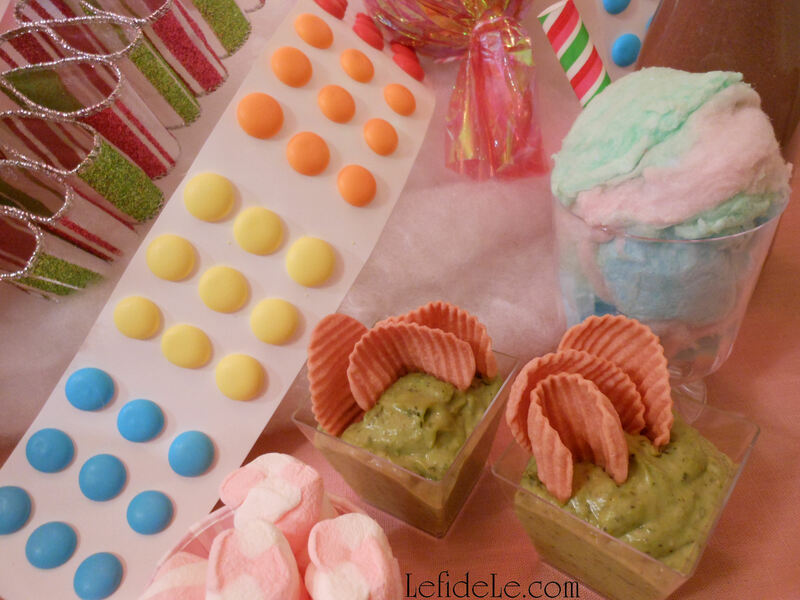 Both this and the lemon juice will keep the guacamole a lovely shade of green during your party. Wash the outsides of the avocados before cutting into them to avoid transferring bacteria. 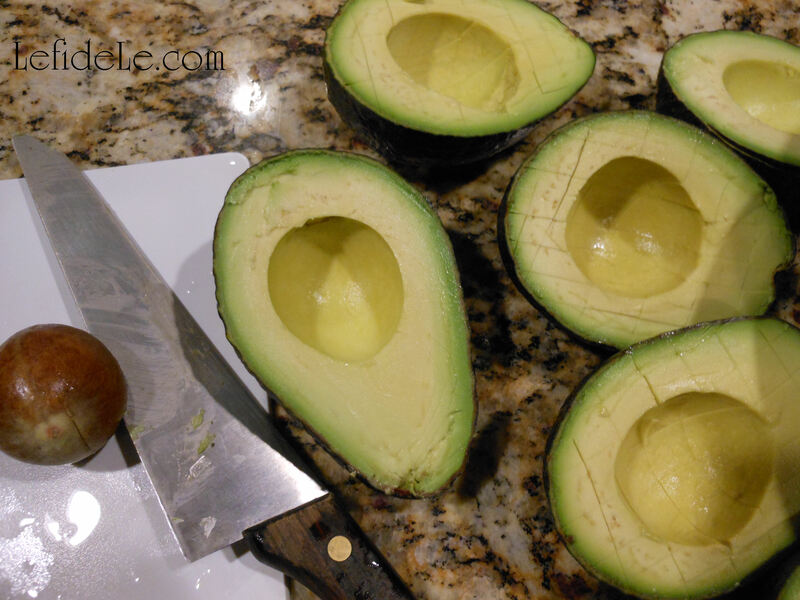 Whack the avocado seed with a knife, then twist it a half turn to remove it. Slice a grid pattern into the green flesh. Use a spoon to scoop out it out, or just squeeze the rind to squish it into the bowl. 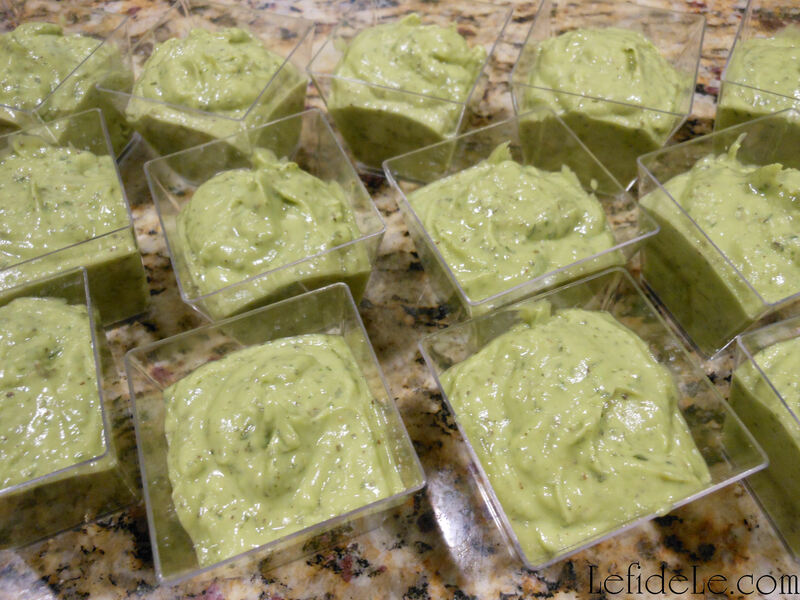 Spoon the spicy guac into shot glasses or individual serving cups. 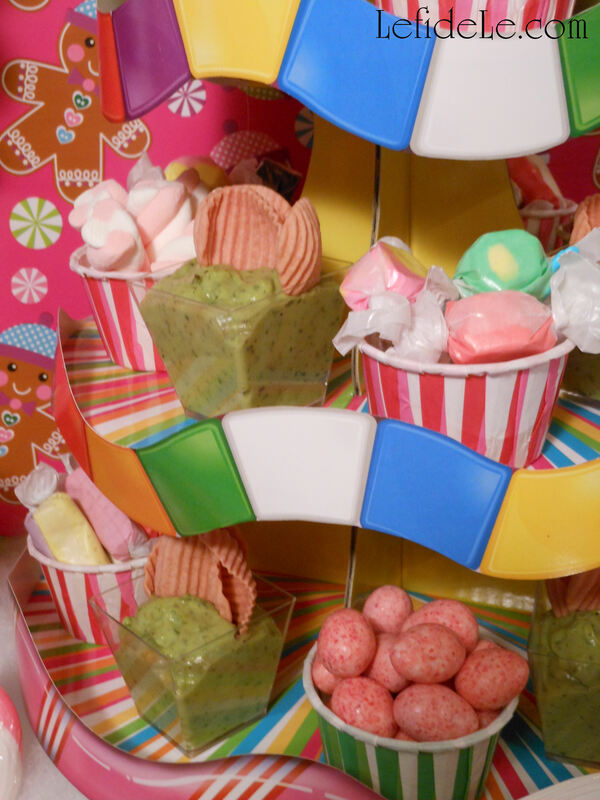 Add any variety of veggies or chips, from matchstick cut carrots (for Easter) to Fritos (for Cinco de Mayo). 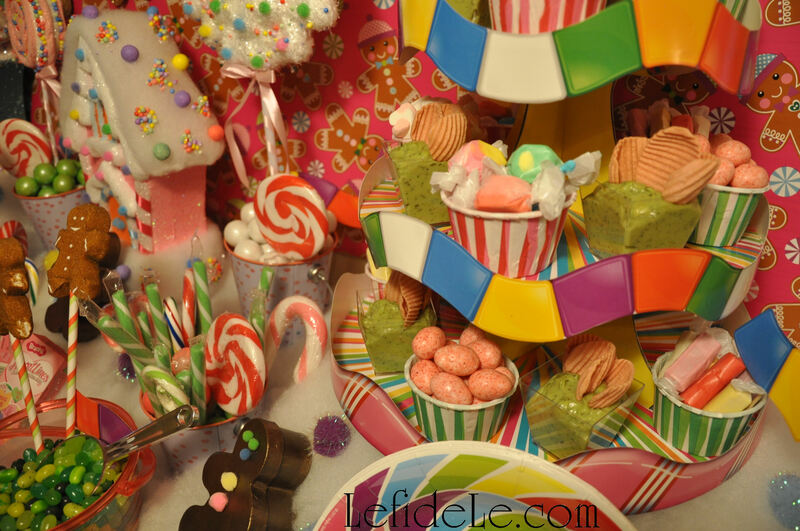 On this day, I used pink pomegranate potato chips from Simply 7 to coordinate with my Candyland party theme. They are so yummy by themselves, but are really amazing when combined with the spiciness of the guacamole. 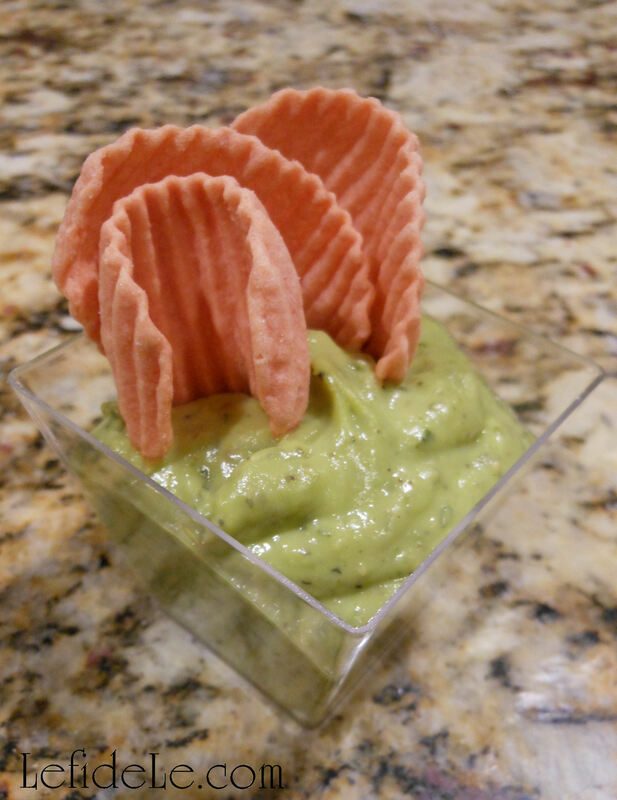 You can also serve my Heartbeats Veggie Chips made from beet root with the guacamole, or try the Lettuce Turnip the Beet Dip I made to accompany it. 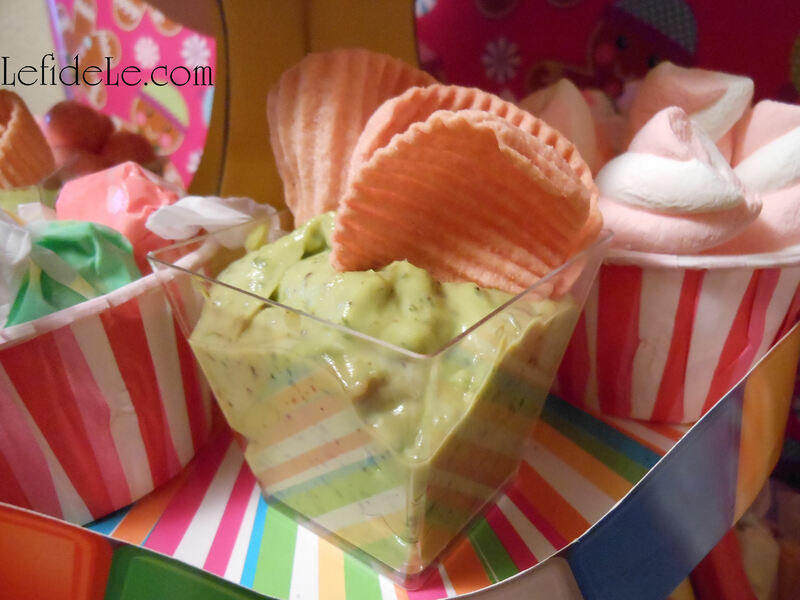 It is a pink savory herbed avocado dip that I made for Valentine’s.